32 pax ordered by Mrs. Leena with request in Charlie Brown theme. 1 pocky + 1 choco milk. CELICA is turning 2 ! 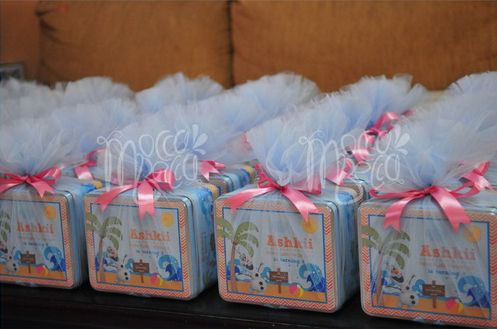 Ordered by Mrs. Nurbaidah Chiang with request in mickey minnie theme. 1 tin square + 1 printed mug + 1 pocky + 1 kitkat bar 4F + 1 choco milk. 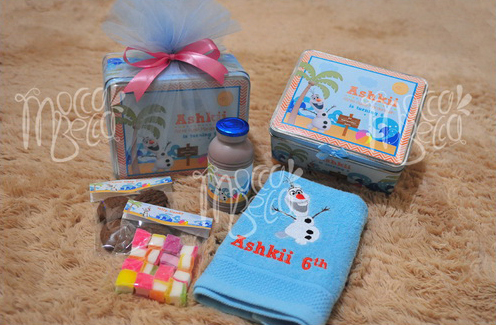 Ordered by Mrs.Amel, 50pax with request in Olaf theme. 1 pack choco chip cookies + 1 pack jelly candy.